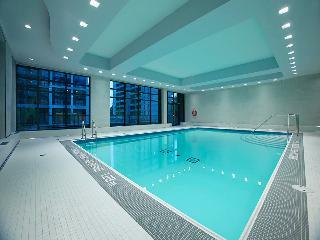 Two Bedroom Toronto Apartment Home Rentals Yonge / Eglinton 299 Roehampton Ave.
"Live at the centre of it all!!" Renovated 2 bedroom. Available June 1st 2019. ABOUT THE BUILDING • Debit card payment options • Dedicated on-site staff • Indoor parking • On-site superintendent • Storage lockers • Utilities included • Hardwood floors • Close to TTC, restaurants, entertainment, shopping and 401 & 404! Yonge and Eglinton is Toronto's most popular area and is minutes from everything! Hungry? The city's finest restaurants are just steps away! Need to get downtown every morning? Hop on the subway and be there in ten minutes. Do you like shopping? Every major retailer is represented in the Yonge-Eglinton corridor. Like movies? Walk to SilverCity!